You have to love it when an artist seemingly comes out of nowhere and brightens up your day. 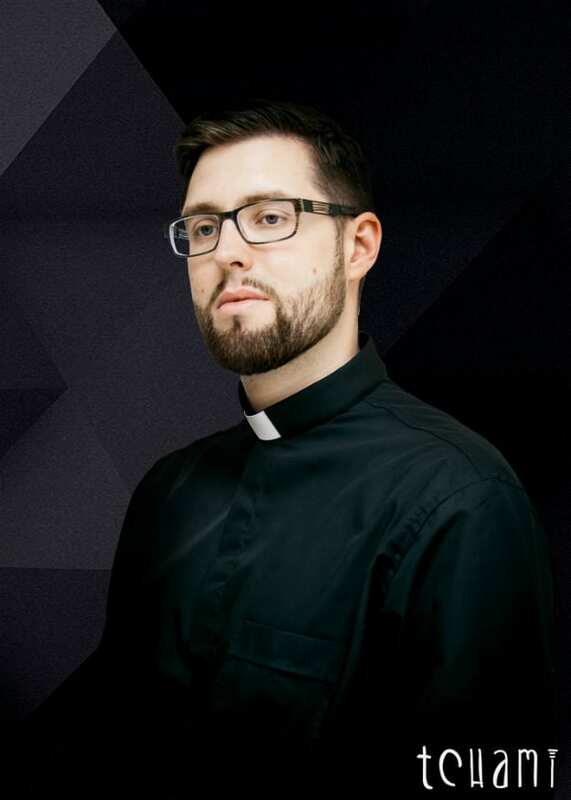 Back in September, we were smitten by the sounds of Tchami, a Parisian producer who had been dropping bits on SoundCloud tagged "Future House," with his driving rework of AlunaGeorge&apos;s "You Know You Like It." That same month, Fool&apos;s Gold let him into their Clubhouse with the release of "Promesses," then gave him the keys to Oliver&apos;s Delorean, which resulted in his mesmerizing mix of "MYB." We&apos;d had enough; we not only needed to know where this guy had been, but get some insight on his sound... and if we could parlay a mix out of it, then hey, we win, right? Well, we got both; we&apos;re proud to present our chat with Tchami, as well as a spellbinding mix from the producer/DJ. His answers? Intriguing. His mix? Captivating. And before the January release of his remix of Mercer&apos;s "Turn It Up" (yeah, that just happened), check out our conversation, then get ready for the mix down below. You seem to have come out of nowhere almost, popping up initially (to our knowledge) qith your Janet Jackson remix. Since then you&apos;ve dropped a few original tracks via Fool&apos;s Gold Clubhouse and turned in massive remixes for AlunaGeorge and Oliver. Can you give us some insight about how long you’ve been producing and DJing? Well, I&apos;ve been producing for years now. Exploring what I could do with all my musical tastes. Last year I started to feel the need to put out my own music. Just felt I had enough maturity to share my vision. The first track I did was "Promesses" with Kaleem Taylor. When did you know it was time to start sharing your material with the world? What I like and respect the most in music is artists who have a vision of what they want to do. So that&apos;s what I needed to start my own thing as an artist. It&apos;s not a matter of age but maturity. Second thing, I wanted to be satisfied about my sound technically. It took me some time to achieve this. How did you come up with the name Tchami? I used to travel a lot across Europe and Africa these past five years. Tchami is a name that has been given to me in Africa which is an honor. Fortunately it sounded catchy to me, so I kept it. That&apos;s all folks. Are there any plans for an EP from you? Yes definitely. I&apos;m actually working on original material that will be my next EP. Besides original material, your remix work has gotten a lot of attention. How did those remixes come about? Is there something specific about a track that makes you want to remix it? I would say there is no rule, but to be honest it&apos;s definitely the voice that makes me want to remix a track or not. The voice is the most expressive instrument to me. It can also be the chord progression of a beautiful and characteristic synth. I&apos;m always looking for emotions especially in music so if I don&apos;t feel anything I won&apos;t work on it. I don&apos;t know what Future House is. It&apos;s whatever you create that doesn&apos;t exist before you created it. Didn&apos;t mean to confuse anybody, but a lot of people asked me how to do future house. I would like to say do what you want buddy, go outside the rules, tweak the knobs, push the green to the red and make something you love. If it doesn&apos;t sounds like everybody on the scene right now that means you won. You challenged yourself and succeed no matter if the light is on you or not, it will if you keep doing your thing. What I&apos;m doing isn&apos;t totally new. I have a lot of inspirations. From Kashif&apos;s bass lines to Todd Edwards&apos; [style of chopping] vocals (and many more…). At the end of the day it&apos;s not the "what" it&apos;s the "how" you do it that will make the difference. This is where your culture and your musical background is so important. This is why I made the "Stressed Out" remix. Because it&apos;s an important record in my life. On your twitter, there&apos;s slight info. A Paris origin, and the words "Just Born." As an artist who has done their best to shroud themselves in mysteriousness, or at least a lack of information, how do you feel that affects your ability to grow a fan base? I really wanted to let my music speaks for itself in order to challenge myself a little bit more. And maybe also a matter of modesty. With that said, besides a mysteriousness and original music, how do you plan to separate yourself in an overly saturated dance world? Just keep doing my thing and connect with people.